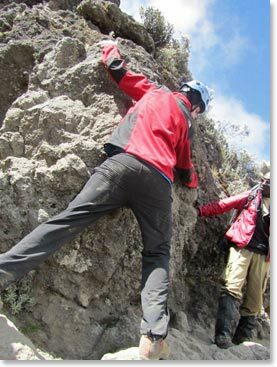 Brennen skillfully scales the Barranco Wall. 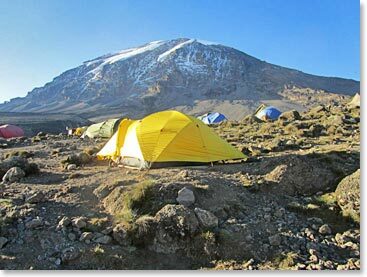 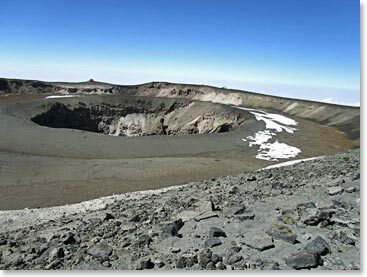 Karanga Valley Camp provides great view of the route ahead – still lots of climbing to do. 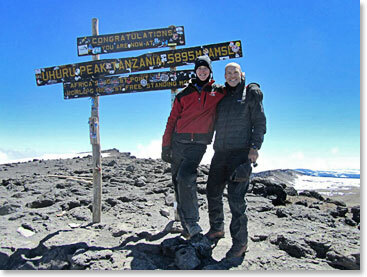 Taking a water break on summit day – getting close. 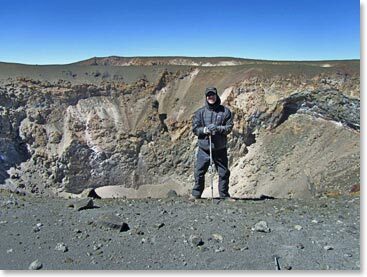 Still full of energy after a tiring summit day, Scott explores the crater with Julius. 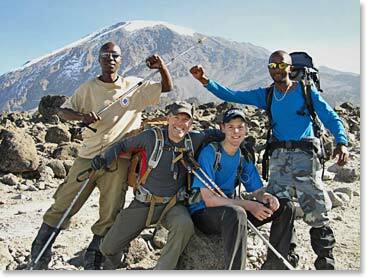 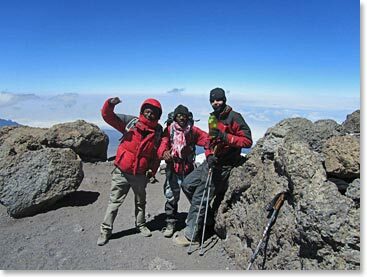 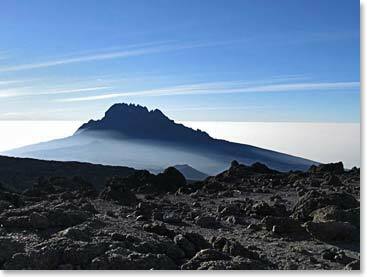 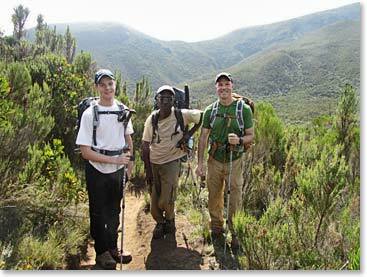 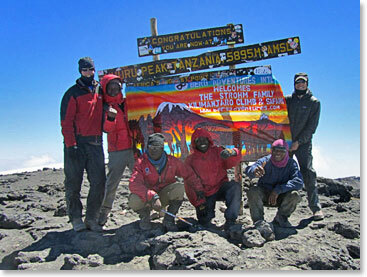 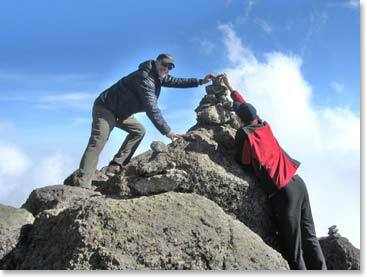 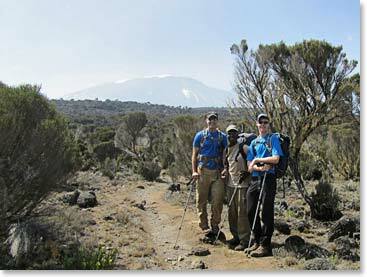 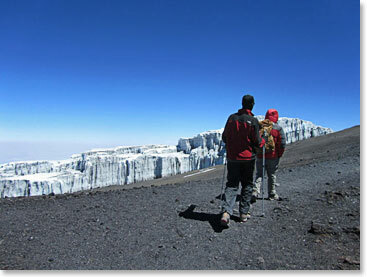 The successful team takes one more shot in front of Kilimanjaro’s summit.